As a mortgage adviser you may be familiar with the range of products available to you from your Buy-to-Let providers. However did you know that specialist Buy-to-Let Second Charge Loans are also available which may not appear on your usual panel? Buy-to-Let which is a property that was specifically purchased to let out. Consumer Buy-to-Let (CBTL) which is a property that may have been previously occupied by the owner or inherited. 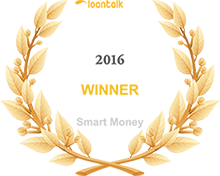 At Smart Money irrespective of the type of Buy-to-Let classification we have access to all Buy-to-Let Second Charge Loans on the market and we’re confident that if we can’t place your enquiry with one of these specialist lenders, no-one can. At Smart Money whether your enquiry is a Consumer Buy-to-Let or a Buy-to-Let enquiry, we have access to a huge amount of products available within the market and we're confident that if we can't place your enquiry with one of these specialist lenders, no-one can. Any property type – including Semi-Commercial and ex local authority. No maximum property portfolio limitation. Lending available in England, Scotland and Wales. Rental opinion accepted for untenanted properties. Rental income can be supplemented by employed / self employed income. Loans available from £10,000 – £2,000,000. 3 - 35 year term. First and second charges available. Any legal purpose including tax bills and purchase other properties and deposits. Capital and interest only available. Up to age 80 at application. If you have Buy-to-Let property owners looking to raise finance please don’t hesitate to contact your preferred office now.